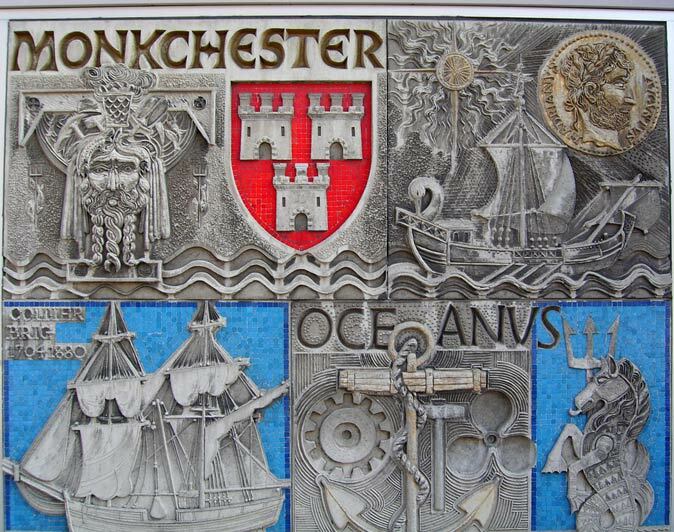 Henry Collins and his wife Joyce Pallot produced a series of historical murals using mainly concrete and mosaic. 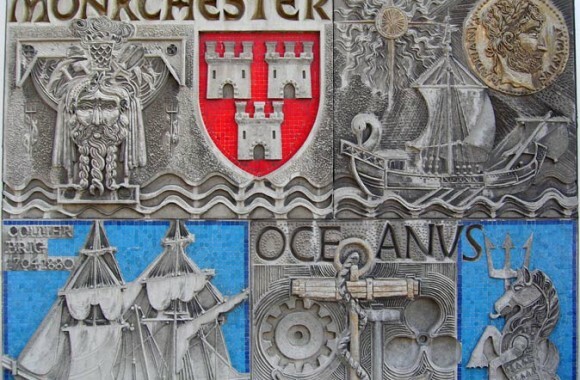 They never worked on the site itself, but used a regular contractor who cast the concrete in panels around four feet square. 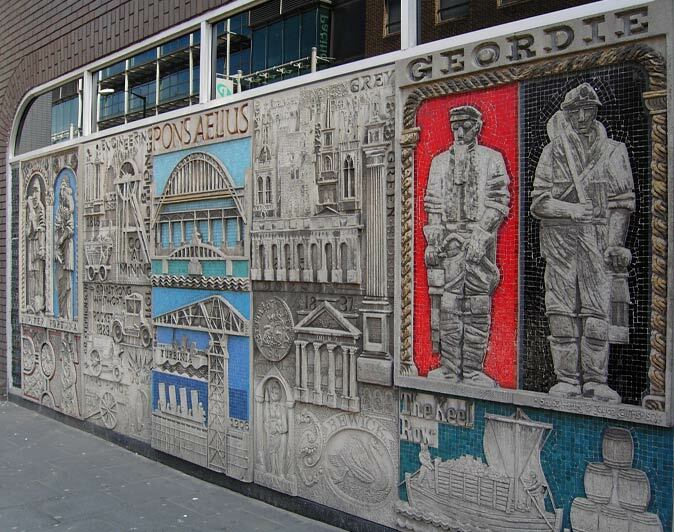 There are two relief panels, depicting events in the history of Newcastle. 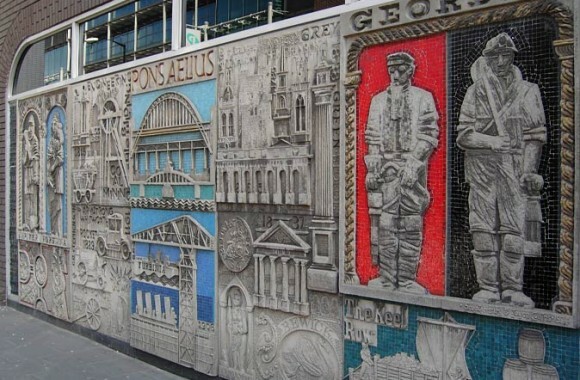 Highly stylised, the relief is moulded to a depth of 5cm and features some charming Geordie characters.